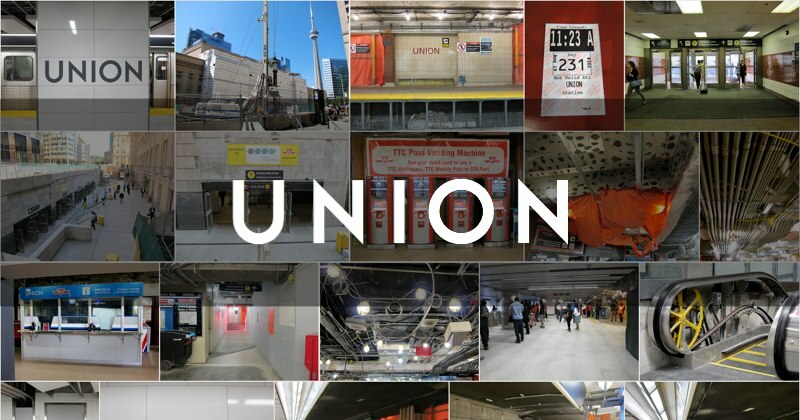 ‘Union station’ has a lengthy history as a critical transportation hub for the city of Toronto, encompassing not just the TTC station but also the grand railway station and regional bus terminal with the same name. My visit to Union was a physical reminder of how things change over time. This is a dynamic in Toronto that has always intrigued me: the tension between what came before, versus the sometimes rocky evolution to the present. For more than a decade, increasing passenger volumes led to serious overcrowding problems at Union’s subway platform level, originally constructed in an ‘island’ format, with tracks on either side. The crowding was particularly evident (and even dangerous) following popular events such as hockey or basketball games at the nearby Air Canada Centre, but even during regular periods of rush hour congestion, the capacity issue was readily apparent. Eleven years after the first public consultations and initial planning sessions occurred, a second platform was finally opened on August 18, 2014 (the official ceremony was July 2, 2015), essentially doubling the waiting area for passengers. The engineering effort involved has been staggering. 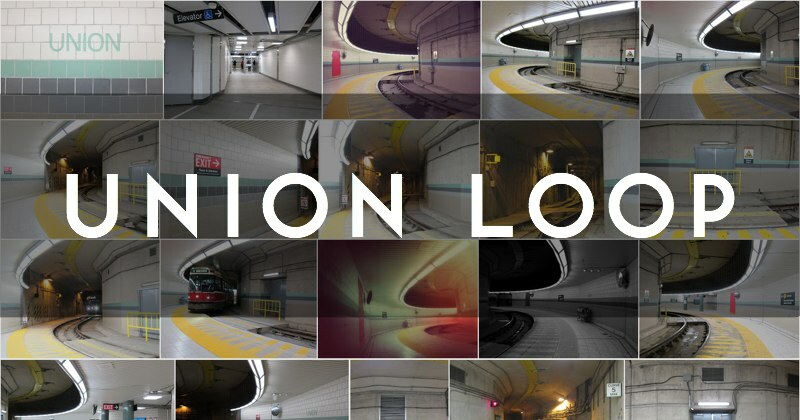 My gallery of photos records a Union station that already no longer exists: a turbulent mess of construction, wiring, equipment, and passengers milling about. Think of it as a snapshot of the transition period. I’ll have to return to capture several features which weren’t accessible or even present at the time of my visit: the 500-foot glass wall with Stuart Reid’s zones of immersion art installation, and the underground streetcar loop (update 1 - loop, update 2 - post-reno). Strangely, during my inspection I preferred the old platform to the new. The old one was dark, and claustrophobic, a real connection to our transit past, worth exploring (check out the interlocking signal light on the platform, shown above. It faces ‘the wrong way’ and signals the crossover east of the platform — a product of Union’s initial role as a terminal station. This allows trains to reverse direction and head up the Yonge line). By contrast the new platform was soulless and immaculate, as yet lacking even that fine layer of brake dust that envelops every station eventually. No matter — time marches on, and in true Toronto fashion the old will soon enough become a palimpsest for the new. 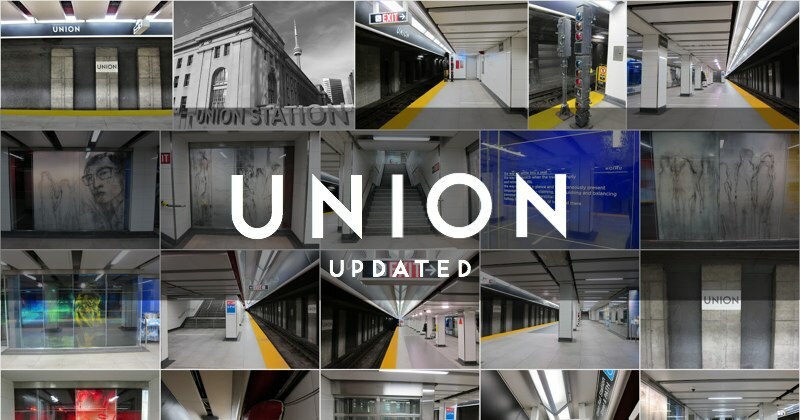 Union station opened as the southern terminus of the Yonge line on March 30, 1954. The connection to the University line began on February 28, 1963. A connection to the Harbourfront LRT was added June 22, 1990.